Located in beautiful Guangzhou in southern China, also dubbed the ‘flower city’, South China Agricultural University (SCAU) is a national key university with roots in an agricultural training institute established in 1909. Specializing in tropical and subtropical agricultural studies, it is a multidisciplinary university, highly rated among its domestic counterparts. 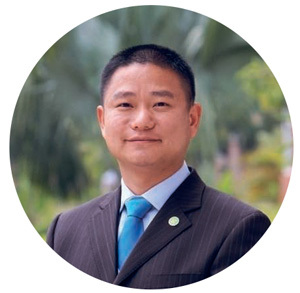 Here, the university president, Xiaoyang Chen, shares his plan to make SCAU a world-class university with unique strengths. What are the strengths of SCAU? SCAU is one of the 88 national key universities designated in 1979. Its genetic breeding of crops, pest control, agricultural economics and management, pomology, preventive veterinary and agricultural mechanic engineering are ranked as national key subjects. It leads China in research on issues of agriculture, farmers and rural areas, modern agricultural machinery technologies, cultivation of new tropical and subtropical plant varieties, husbandry of poultry and livestock, disease control, and food safety. According to the QS World University Rankings by Subject 2016, we are ranked among the global top 100 in agriculture and forestry. The Essential Science Index (ESI) data released in 2017 ranked SCAU 1454th globally and 5th domestically in overall strength. What are your goals for future development? Based in Guangdong Province, we aim to serve South China, meet national needs and to become a global presence. We need to further boost our overall capability and global competence, while enhancing our strengths in agricultural and life sciences. We want to make SCAU a world-renowned, high-profile university that features tropical and subtropical agriculture, while achieving balanced development of agriculture, engineering, humanities, natural sciences, economics, management and law. We want to be unique by constructing the first-class disciplines which characterize world-class universities. We will focus on academic development of agricultural sciences, building world-class disciplines. Our academic programmes will be restructured and streamlined to better reflect the needs of modern agricultural development. We will boost traditional agricultural knowledge by emphasizing science and engineering programmes. Meanwhile, in response to the need for safe, nutritious and healthy food, we will concentrate on finding new drivers of agricultural industry and will enhance health and nutrition studies. In future, we also plan to integrate agriculture and medicine, establishing a health and life science institute to carry out research on preventive medicine, nutrition and healthcare services. What are your innovations in student education? An essential function of universities is student training. The core of our training is promoting innovation ability for doctoral students and emphasizing research capabilities for master’s students. In undergraduate education, focusing on quality improvement and structural optimization, we have implemented an innovation and entrepreneurship education model, encouraging students to identify questions themselves, take the initiative in learning, and to practice, enhancing their knowledge and skills. Students have learned to analyze issues and collaborate with others in the practice of innovation and entrepreneurship. The learning will guide their future development and enlighten their lives. The learning will guide students’ future development and enlighten their lives. We were designated a demo university for innovation and entrepreneurship education and were rated among the top 50 in education innovation among domestic universities by the Ministry of Education. In 2016, our student team was the second runner-up in the world final of the iGEM Competition, run by the International Genetically Engineered Machine (iGEM) Foundation. How do you make SCAU go global? It is generally agreed in domestic and international education communities that internationalization is the path to building prestigious universities. We are always open to globalization and seek to enhance our international reputation. We are broadening our international collaboration in education to train globally minded students. To internationalize our faculty teams, we have implemented policies to attract talented researchers from overseas and sent faculty members abroad for training. Capitalizing on our own strengths, we are also deepening research collaboration with high-profile international institutions and are building platforms for internationally collaborative innovation. How does SCAU contribute to regional development? With a mission to serve agricultural development, we are actively partnering with local enterprises to boost growth. An example is our collaboration with the Wens Foodstuffs Group, a livestock and poultry farming company in Guangdong, hailed as a role model of university-industry partnership among Chinese universities. We have established the Huanong Wens Research Institute, the National Engineering Research Center for Breeding Swine Industry and a national-local joint engineering research centre on livestock and poultry breeding, producing significant results on the breeding and healthy farming of domesticated animals. The Wens Foodstuffs Group has become the largest chicken farming company in Asia and one of the 10 largest swine farming enterprises globally. Professor Liu has been leading a productive group studying the mechanisms for cytoplasmic male sterility/restoration, environment sensitive genic male sterility, and hybrid sterility in rice since 1996. He has also made significant contributions in biotechnology, such as the developments of TAIL-PCR, plant transgene-stacking systems and plant-oriented CRISPR/Cas9 tool kits and related software, holding eight patents. He has published more than 130 academic papers in core international journals such as Nature Genetics, Annual Review of Plant Biology, Cell Research, Nature Communications, PNAS, and Plant Cell, having received more than 5,500 ISI citations. 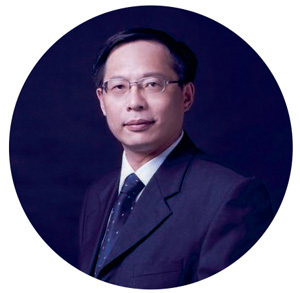 Besides, he has won many honors and awards, including China’s National Science Fund for Distinguished Young Scholars, the Changjiang Scholars award, and first prizes in the Guangdong Provincial Science & Technology Award and the DaBeiNong Science & Technology Award. Liu received his Ph.D. in genetics in 1991 from Kyoto University. 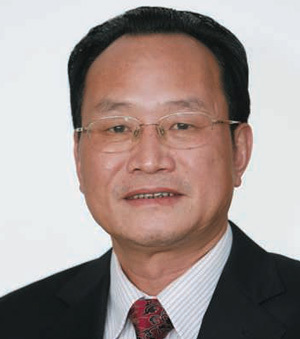 Professor Liu, an expert in veterinary pharmacology and toxicology, has led more than 50 scientific research projects, including those supported by the National Key Research and Development Program of China, the Key Program of the National Natural Science Foundation of China (NSFC), the Funds for International Cooperation and Exchange of NSFC, and the National Key Technology R&D Program of the Chinese Ministry of Science and Technology, with research funds totaling approximately 50 million RMB. She was also awarded the Changjiang Scholar, the National Science Fund for Distinguished Young Scholars, a second prize of the State Science and Technology Progress Award, and six other provincial and ministerial awards. 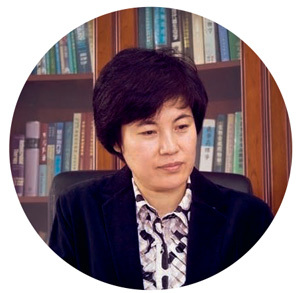 Having published more than 197 papers in domestic and international journals, such as Nature Microbiology, Antimicrobial Agents and Chemotherapy and The Veterinary Journal, Dr. Liu has also acquired a national class II new veterinary drug certificate and 10 invention patents. Professor Xu has devoted himself to the development of environment-friendly, high-efficiency botanical pesticides in the past 30 years. He registered azadirachtin as an insecticide in China, which has become a leading variety of biopesticide, and promoted the industrialization of other botanical insecticides, such as rotenone and tea saponin. A proposer of the “guided pesticides” concept, Xu is focused on interpreting their uptake, transport, and metabolic pathways. He has also developed several methods to apply pesticides with water, such as package-hanging and drip irrigation, further enhancing the efficiency of agrochemicals. Xu has been honored with several awards, including the National Science and Technology Progress Award, National Environmental Science and Technology Progress Award, and Golden-Prize Patents in Guangdong. He is the author of books “Insecticidal Plants and Botanical Insecticides” and “Photo-Activated Pesticides”. epidemiology, pathogenesis mechanism and vaccine development for zoonotic viral diseases, especially in animal influenza virus. 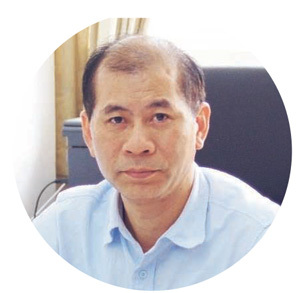 Professor Liao, an expert in animal infectious diseases, has made great achievements in the study of epidemiology, pathogenesis mechanisms and vaccines. He has made suggestions to help control the spread of animal infectious diseases, minimizing losses of the farming industry and protecting human health. Holding five certificates of new veterinary medicine and 13 national patents for invention, Liao was awarded a leading researcher of the Ten Thousand Talents Program, the National Outstanding Researcher in Agriculture and has won the first prize of the State Science and Technology Progress Award twice, the national innovation award and 13 other provincial or ministerial level awards. Return to Nature Index 2017 Science Inc.